AU 2015 kicked off this morning, and this year, the keynote was a high energy affair, with a big look towards the future. 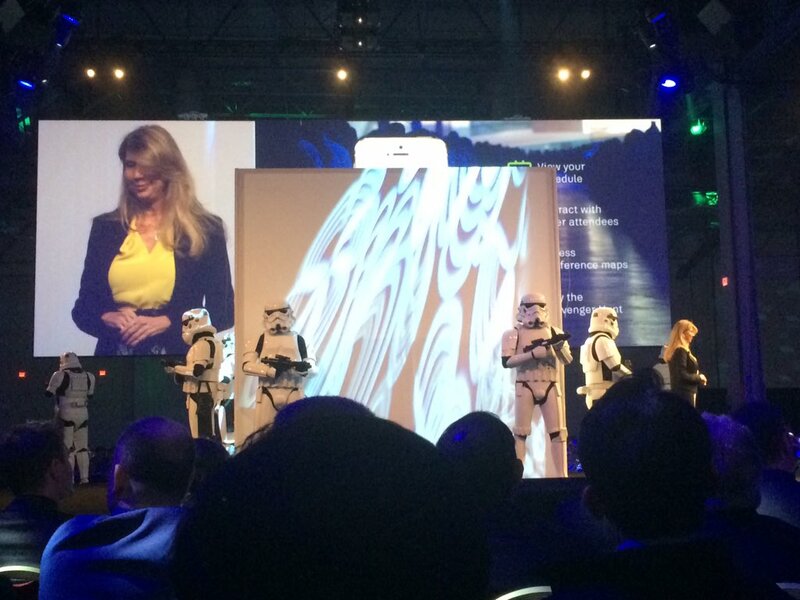 Main stage started with Lynn Allen being escorted to stage by Storm Troopers! Followed by Carl Bass and an inspiring talk about the internet of things, as well as how Autodesk attracts top talent and some of the work that the Intern program turns out at Autodesk. Following Carl Bass was Andrew McAffee of MIT, co-author of "The Second Machine Age". His talk is quite an inspiring look at the world. Below is a similar talk he gave in the UK earlier in the year. Next up was Jeff Kowlaski and he covered the idea of the Augmented Age. The idea that we can Augment design with software that is more intelligent and has a better understanding of what we as designers are looking to achieve. So as you can tell, there was a lot in the keynote! But before that, we had an early start this morning! Breakfast at 07h00 followed by my first class of the day Enterprise Project Dashboard: A Business Intelligence Platform - The idea being how a large construction firm in Dubai connects Big Data between several disparate sources using Jitterbit and some very clever dashboarding. Watch this space for more #AU2015 news!